Thanks to a wide range of techniques and wide range of accessible wavelengths, SOLEIL is developing a very broad scientific program for the simultaneous determination of the structure and geometry of matter in all its forms right down to the atomic scale, and for exploring its chemical, electrical and magnetic (...) properties. 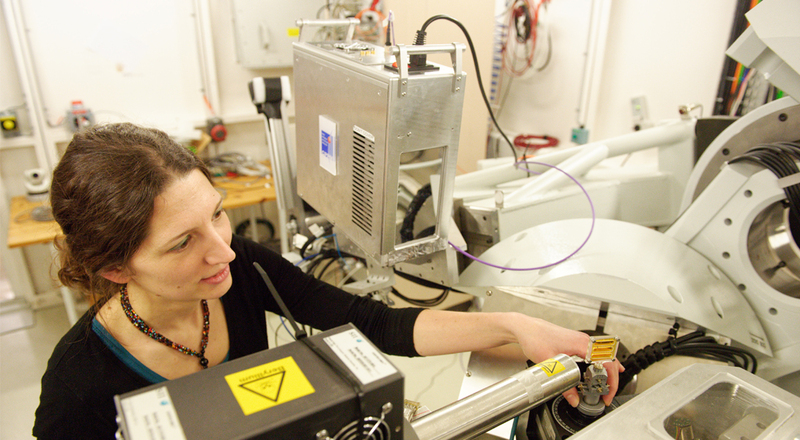 The diversity of interaction modes of light with matter, together with the wide energy range covered by the synchrotron radiation at SOLEIL make it possbile to study many areas in Science, with multiple analysis techniques. 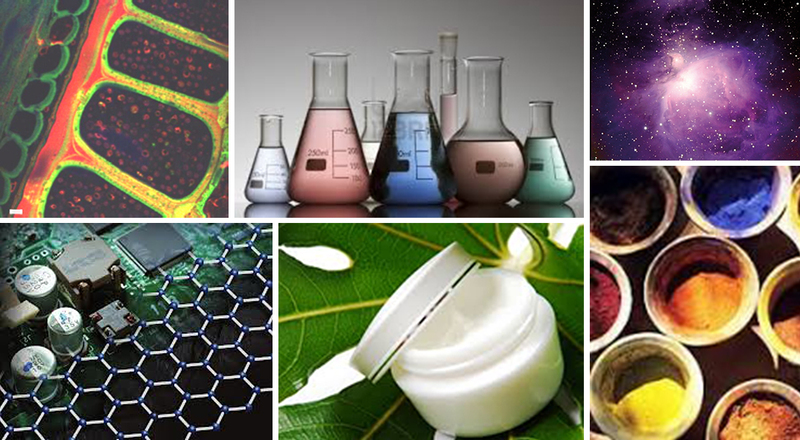 Advanced materials, biology and health, gas phase, astrophysics, electronic and molecular structures, photodynamics, solid/gaz/liquid interfaces, condensed matter, matter under extreme conditions, nano-object, and also instrumentation and particle accelerator physics...: all these scientific disciplines can be studied with a tool such as SOLEIL. Our Users are conducting this research, but our scientific staff also, by their involvment in our in-house research. Within SOLEIL numerous scientific subjects are being developed grouped into different scientific sections. SOLEIL is a third generation light source. 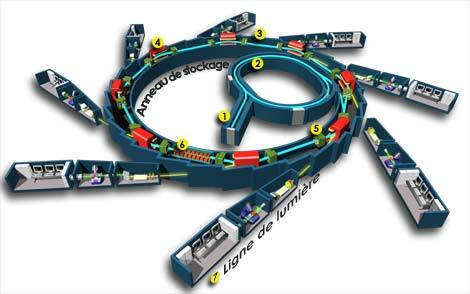 Synchrotron radiation is emitted over the entire circumference of the ring, both in the magnets - which bend the trajectory of the electron beam - and also in the straight sections, by wigglers and undulators. At SOLEIL more than 42% of the circumference of the ring has been reserved for these very perfomant light sources, which are referred to as ‘insertion devices’. 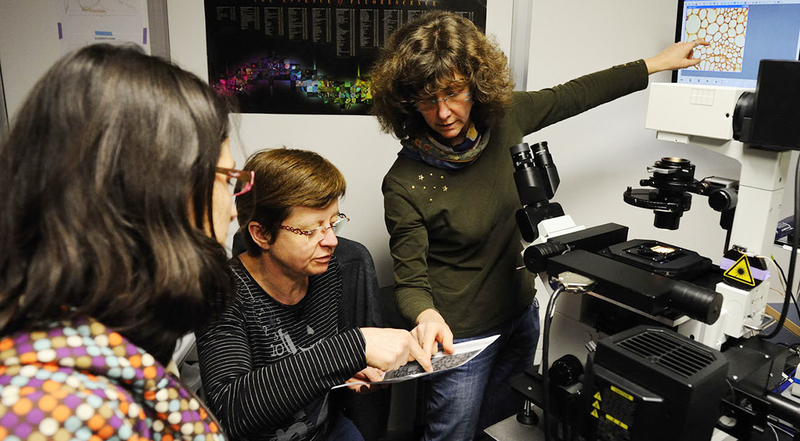 SOLEIL is committed to establishing research platforms and specialised services by application field, for the accommodation of external teams, public and/or private, leading synchrotron projects in the medium-to-long term. For any question or suggestion, send us a message.